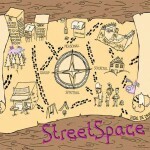 Sociologically community has been defined as about shared interest or shared space. Over the years particularly for youth workers, Christians, activists, and in general society community has also become a word associated with closeness, sharing life, positive warm fuzziness etc. It is the demise of this type community that people often lament as gone, because they equate commitment with attendance, regularity, and cohesiveness. At first I bought into this lamenting, but I have been observing a shift, and think that actually the sharing life aspects of community are not less prevalent than they were before but just different and in many ways more real, and perhaps more mature. With the young people I work with, and the adults around the fringes of StreetSpace, I am beginning to see community emerge as an attitude that is carried by individuals, that whilst they may not share space very often, or share the same interests, there is recognition of a shared humanity. A commitment and attitude of support, openness, warm fuzziness and solidarity. I wonder if post modern fragmentation is helping us mature as people, moving beyond a forced community that grows from shared space or interest, to an attitude of being community in the myriad of relationships you find yourself in. A greater openness and honesty that is fostered quickly and community grows from this (sometimes fleetingly but no less community) and where the need space and interest become secondary, rather than primary. I think we have a lot learn form the type of community I see emerging and fading, ebbing and flowing amongst the young people and ourselves, and it would be too easy to underestimate its power, sacredness, and authenticity, because it no longer fits the old models. Could the 16 year old me survive today? I wept this morning. I cried for young people who have been have been vicitimised, marginalised and oppressed by the governments response to the recession of cutting services, I cried with the young people who will continue to be the ones who suffer most as we enter economic recovery which the government wants to promote with further cuts. The latest government proposals on young people, demonstrate a society that has lost its way, a society of selfishness, greed and power. I wept this morning as friends responded to my post on facebook about my own situation as a NEET (not in employment, education or training) 16 year old. I left home, not willingly, not out of choice but out of necessity after my father who had been sober for 5 years started to drink again. My sister helped, the state helped, I was not stigmatized, I had time to get my head together, I had time to start to find out who I really was, out of the shadow of my father, I survived, I flourished. As I write the tears start again for the young people I met this week on the streets who do not have the same opportunity I had, I see them in my minds eye and I am simply distraught at what the future holds if current government plans continue. Out of the shadows of my childhood, I began to explore my vocation, and pathway into youthwork. Unsurprisingly I left school with no O’levels but at 17 I was accepted to do a further education City and Guilds course in Leisure and Recreation. A course I started late because it took a while to see if I could get a grant and benefit to live and study. I moved onto to do Social Care and an A level, with a student grant and working nights in a printers and the fabulous support of my sisters family who let me live in the caravan in the garden, I began to mature and come to terms with who I was. At 19 I thought I was ready, but quickly realized I needed to go to Uni if I was going to do the youth work stuff properly, and that meant I needed more grant support. At that time automatic vocational grants (the first to go) had been cut and I remember sitting around an appeals table in County Hall in Exeter explaining my case to a panel of 15 adults, and making a simple promise to come back to the county for at least a year once graduated to help other young people. A lot of our approach has been about how do you grow church from scratch with young people. This is not to say we do this in a vacuum and we seek to reimagine drawing on Bible, Culture, and Tradition (more here). New seeds are planted in fresh soil and tender new shoots/groups emerge. To nurture these saplings one thing we have learnt is that using the word ‘church’ WITH the young people to describe/question what is emerging is helpful, both as a reference point and resource. It helps create the space to dialogue about what is emerging, connecting it tradition, and with care can be used to help co-create and shape the new community. As many of these groups start from scratch without preconceived ideas of faith, as the new community emerges young people begin to connect with others within the christian tradition attending more mainstream expressions of church. At one level this is a really helpful part of the journey as it brings a sense of other, and resource (drawing on the tradition part of the triangle) as the emerging community begins to find it’s feet. A problem is that the more traditional expressions may fail to understand and value the emerging church and so seek to graft on the new sapling to what is already happening. At its heart this attempted graft is generally well meaning but inevitably a top down approach, that undervalues the journey taken so far with the emerging community and the bottom up approach to leadership, truth, that initially enabled the co-creation of the new community. How can we encourage a generosity of spirit in the more mainstream churches, that will enable emerging expressions to emerge in the way they need to? Does anyone have and recent examples of where having a Youth Worker and or community worker living in the community has had a positive impact on the estates? we are ideally looking for examples of where Housing Associations made properties available for workers who wouldn’t be eligible for their help under normal circumstances, in areas of high social need. One of our potential projects has access to a house that their housing association is thinking about making available. It would be great if you had any clear evidence base eg reduced crime rates, quotes from councillors, recommendations from associations. We hope to compile a bit of an evidence base and produce a short report that we will make available to others seeking to move into the neighborhood. Today the Arch bishop of Canterbury is visiting Coventry, where StreetSpace has linked with Urban Hope Coventry as an Alongside project. 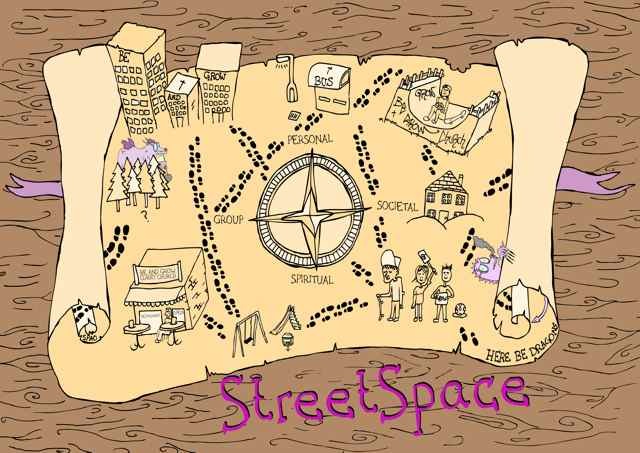 Yesterday I went to meet with Greg and the team to discuss them, increasing their involvment with us and becoming a partner with StreetSpace so we can offer a bit more support and structural help to the youthwork at Bardsley House and detached in the city centre. I have know Greg for years and I love the parallels of the story of Urban Hope and the Gruffalo which the Arch-Bishop will be reading to the children at Coffee Tots today as part of his scheduled visit today. 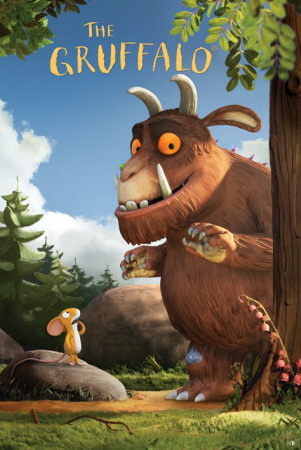 In the gruffalo story, a mouse is on a journey and on the way meets various creatures (a fox, a snake and an owl) that want to eat him, so he imagines the gruffalo to help him escape their hungry tummies, and with each encounter the mouses imagination grows as does the picture of the gruffalo in his head. At times for Greg and the team they were breaking new ground, and trying to explain to the powers that be what was happening and imagining the way head as they went. This future hope was powerful, it drove them on and enabled others to give them the space that was needed to the mouselike groups emerging. When the mouse actually encounters the Gruffalo there is a point when it all seems about to go horribly wrong, but the journey has given him a confidence and robustness to bluff his way out, and it actually turns out the Gruffalo is much more fragile than first thought. Greg and team will encounter the Gruffalo today in the form of the arch bishop and all that he represents as the leader of the Anglican union and Rowan is so right for the role not only with beard and voice, but also with the humility and fragility that will read a story to bunch of children of parents who would never come near the established institution he represents, without the courageous journey of the mouselike Rev Greg Bartlem, who I am pleased and privileged to know and gives more to StreetSpace than I feel able to return. It is strange how things pop up again and again, and during the podcast I did with Youthwork Magazine yesterday the story came up of the lost sheep. I have been reflecting for a few days on the story of the good Shepherd after reading it to my daughter who said it makes no sense. The beauty of the upside down kingdom is that shes right, and that is why when did some YW researchof church based youth workers, we found the majority did not feel they were being released into mission. In the post christian story we find ourselves in, we need to realise that those in churches are working with the minority and it is now not a case of leaving the 99 to go after the one lost sheep, but leaving the one to go and be with 99, and to stay there and be and grow church in the new context.